How super simple and easy is this week's Freshly Made Sketch of the week. It is so versatile. You can easily substitute for so many different shapes. 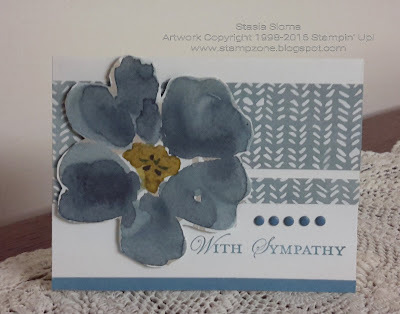 I decided to used the retired English Garden stamp set to create a super simple sympathy card. I fussy cut the floral from the designer series paper.